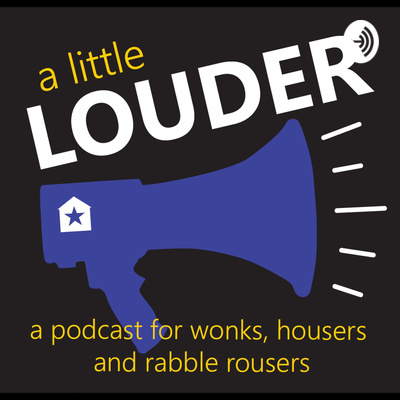 A Little Louder is a podcast by Texas Housers, hosted by John Henneberger and Christina Rosales. We talk about fair housing, community development and community efforts to work toward just cities and inclusive neighborhoods. In episode 7, Texas Housers interviews members of the 10th Street Residential Association who discuss their experience in preserving their historical status and their continued struggle to ensure the future of their neighborhood, settled more than a century ago by freed slaves. The neighborhood group has filed a lawsuit against the City of Dallas, asserting that "[t]he City of Dallas's policies and practices have racially segregated the Tenth Street neighborhood for many decades." The community is asking for the same privileges and investment other historical white neighborhoods in Dallas have received. In episode 6, Texas Housers highlights some noteworthy housing bills proposed in the 2019 legislative session. Some promote quality housing and tenant rights. Others not so much. We also discuss low-income housing tax credit corruption and shortages in affordable housing. In episode 5, we take a deep dive into how segregation caused Black and Latino neighborhoods to be trapped near industry and pollution. We talk to residents fighting for environmental justice.